Spring- Time for a Change! It is the end of April and although the temperature at sunrise was only a few degrees above freezing, in New Hampshire we have spring on our minds. I love winter with its frigid winds that blow drifts of alabaster frost against my window panes. But in April, I am ready for a change. 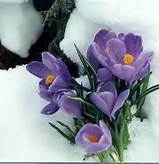 And spring is a season of change- crocuses that peek out from under the flakes of a rogue snowstorm, the explosion of yellow forsythia, the promise of buds on the barren tree branches. Where I work there is a ditch that separates the parking lot and a small field. When the snow melts, the ditch fills with water that ices up at night and melts during the day. A couple of weeks ago, I got into my car at the end of a long day of work and sat back, relishing the warmth left by the afternoon sun. In silence, I watched the wind ripple the water in the ditch, and my mind flew back to the days when I was a child. Bodies of water hypnotize children, drawing them near, begging them to forage around the frozen earth until they find something that will float. A dried oak leaf left behind by last October’s winds makes the perfect canoe, and a blade of new grass its navigator, and before long, an adventure ensues. At the house on 30 Green Street, I had many such adventures. On Saturday mornings, it was not unusual to hear my mother admonish us with “Shut off that idiot box and go outside and play!” It didn’t take long to learn that dawdling inside resulted in being assigned a household chore, so as soon as Roy Rogers and Trigger headed for the sunset, I bolted out the door and headed across the street to play down by the river. In April, down by the river was alive with the promise of spring. Under the dark umbrella of fir trees, a small rivulet bubbled between frozen banks, creating the perfect opportunity to race leaf boats or splash chunks of ice under the surface to see how quickly they would melt. Tiny sprigs of green peeked from under tufts of grass bleached dry by last summer’s heat. And in the shaded areas never kissed by the pale winter sun, granular snow formed fields of ice crystals. I had spent the winter watching Tarzan movies on our black and white television, and imagined the ice crystals were real diamonds, waiting to be scooped up and smuggled out of the African wild. My fat, Persian cat, Perfidia, who loved to hunt down by the river, became a wild lion. I faced him down like Tarzan did, yelling “Ungawa!” Undaunted, he sleepily blinked at me, and rolled over to let me scratch his belly. When I had finished, my lion, purring contentedly, trotted off in search of a field mouse or a mole. We repeated this game for years, until I traded fashion magazines and lipstick for woodland adventures and Perfidia grew so old that one day he went down by the river and never came home. As I sat in my car watching the ditch, I thought about change. How curious that although I welcome the change of each New England season, I fight the changes that threaten to upset the delicate state of my life’s sameness. I follow the same routines during most of my days. I rise at five, shuffle from the bedroom to the kitchen to pour my coffee, and shuffle back to my bed where I sip and watch the news. I always make my bed before work. I always check the mailbox when I get home from work. I always lock the door and turn down the heat before crawling between the covers at the end of a day. And yet, like the way spring sweeps away the cobwebs left behind by winter’s dry breath, the spring of my life is upon me. I’ve packed away my winter coat and rearranged my closet to make room for summer clothes. I’ve taken on a new and challenging project at work. 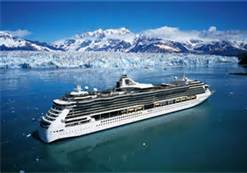 And I, who have not taken a vacation in over thirty years, have bought and paid for a cruise to Alaska’s Inner Passage, to be taken at the end of May. It’s not exactly down by the river, but there will be water and adventure, and excitement. Besides, it’s spring- time for a change. When I was growing up at the house at 30 Green Street, cardboard was saved and used for myriad art projects. The lightweight sheets of cardboard around which my father’s dress shirts were folded quickly were doled out for art projects. I loved to draw my own paper dolls, carefully cutting them out, sketching faces with colored pencils and fashioning clothes out of bits of construction paper reserved for school projects and sick-in-bed days. Some days I used the cardboard to create masks for my younger siblings, cutting holes for eyes and nose, and stretching an old elastic band to hold the masks to their little faces. Cardboard became a flag to tape to a pencil and wave at the veterans who marched in the Memorial Day parade or a poster to paint with tempera and advertise a sidewalk lemonade stand. It was the stuff made into swords and shields to play pirates in the back yard, or a lean-to for imaginary hobos. Cardboard boxes were used to store summer clothes during the winter months, and winter clothes that my mother packed away in spring. They stored tools in the garage, linens in the attic, and books that no longer fit on the shelves in the living room. 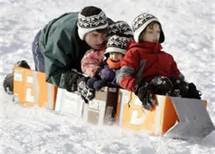 Cardboard boxes also made great summer sleds. One sibling would sit inside the box, holding a jump rope or baton. The designated puller would drag the rider all over the back yard, until the puller tired and the roles were reversed. One hot summer afternoon, my sister Robin and I decided that dragging through the yard was not nearly exciting enough, and decided to try riding our cardboard box sled down the stairs. My taste for adventure trumped my better judgement, and I volunteered to make the maiden voyage. The stairs in our old New Englander were steep and covered with a green and brown print runner, worn thin at the edges. At the top of the stairs, I sat in the box, and bracing my hands against the bannister and wall like a luger, pushed off. I have never careened down a staircase faster. I landed with a thud against the heavy front door and lay crumpled on the landing, wondering if there was blood was running from my aching head. Robin quickly abandoned the idea of a second attempt, and went off in search of a popsicle and a bit of shade under the maple tree. Perhaps the most common use of cardboard in our home was for patchwork. Our house was close to a hundred years old, with plaster and horsehair walls that lifted from the lathing and crumbled when curious small fingers poked at them. Small holes became big ones, and without the funds to do proper repairs, my mother resorted to patching the holes with sheets of cardboard and masking tape. I saw nothing unusual in this, and actually liked the patches, pretending they were secret portals to unknown worlds. It wasn’t until I was well into my teens that my parents had the funds to replace plaster and patches with sheet rock. Looking back, I wonder if visitors thought the cardboard and masking tape patches were strange. 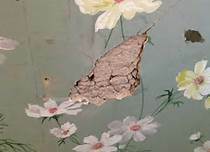 They must have noticed- they were in plain sight, among the peeling wallpaper, threadbare rugs and chipped woodwork. And yet, our house was always full. What I know now is that people didn’t visit 30 Green Street for the décor of the walls. It was the love that lived within the walls that lured the steady stream of children and adults who entered through the front door and exited through the back. The sound of laughter from the kitchen table and the offer of coffee and conversation permeated the crumbling walls and blurred the cardboard patches that held them together. Now, I live in an apartment with clean white walls. I keep my out-of-season clothes in plastic bins that keep my garments clean and dry. There are no patches in my life- at least none that can be seen. My use for cardboard is limited to times I need to donate items to the Salvation Army or Goodwill.